Welcome to Covered Bridge Real Estate, a full service real estate company, located in Buskirk NY. Covered Bridge Real Estate serves the greater capital district including Rensselaer and Washington counties. As your neighborhood Realtor, my goal is to provide you with superior service. Whether your looking to buy, sell or relocate, Covered Bridge Real Estate is committed to putting your needs first and keeping you informed on the progress of your real estate transaction. Covered Bridge Real Estate can show and sell anyone's listings and work for you negotiating the best price for any property you plan to buy. Don't forget to ask about Vermont Real Estate. 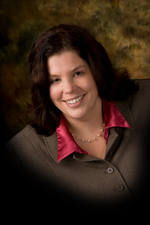 Betty-Ann Bissonette Real Estate covers Southern Vermont for all of your Real Estate needs.